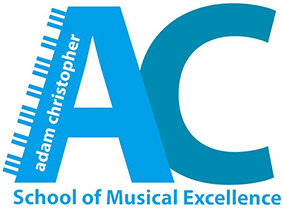 The Adam Christopher School of Musical Excellence is a professional educational business with the aim of enriching the musical development of students of all ages. This is achieved by ensuring personal progress for every student, attaining the best possible grades through the most prestigious examination boards in the country, and giving every individual who studies with us the real opportunity to publically perform to their full potential. The organisation was founded in the Burscough Community by our Principal www.adamchristophermusic.com/ourprincipal.cfm, Adam Christopher, a recognised and accomplished pianist. Through the variety of entertainment, projects and musical work that the organisation is involved in, it is our mission to touch lives, young and old, in that special way that only music can…. Based in purpose-built recording and tuition studios, our qualified teachers cater for tuition of Piano, Voice, Keyboard, Guitar, Bass Guitar & Drums. Lessons are of the highest possible standard to ensure development, and are priced extremely competitively. Please take the opportunity to view our website, and find out what we’re all about.